1898, Tsavo River Kenya, the British Empire has employed 140 workers to build a railroad bridge. The bridge's construction comes to a violent halt when two maneless lions devour all 140 workers in a savage feeding frenzy that would make headlines›and history--all over the world. 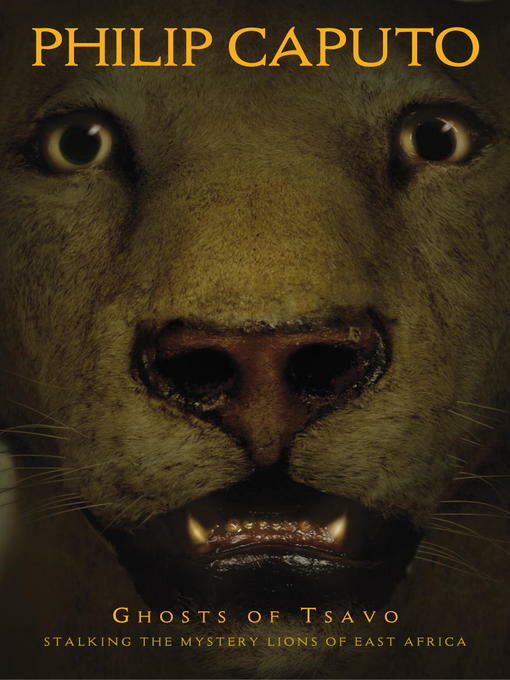 Caputo's Ghosts of Tsavo is a new quest for truth about the origins of these near-mythical animals and how they became predators of human flesh.